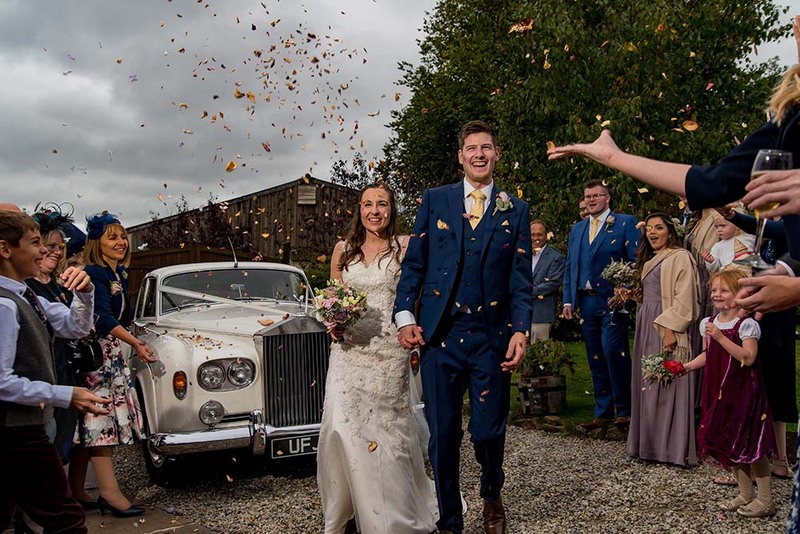 Photo details: The weather for Tom and Bethan's wedding wasn't ideal, with heavy rain and cloud for most of the day, but the atmosphere and happiness of their day really brightened it up. There's nothing more cheerful than confetti and the smiles of the bride and groom as they leave the ceremony newly married. Tom and Bethan got married in Devon at the beautiful Corn Barn after a lovely Christian wedding at their church. 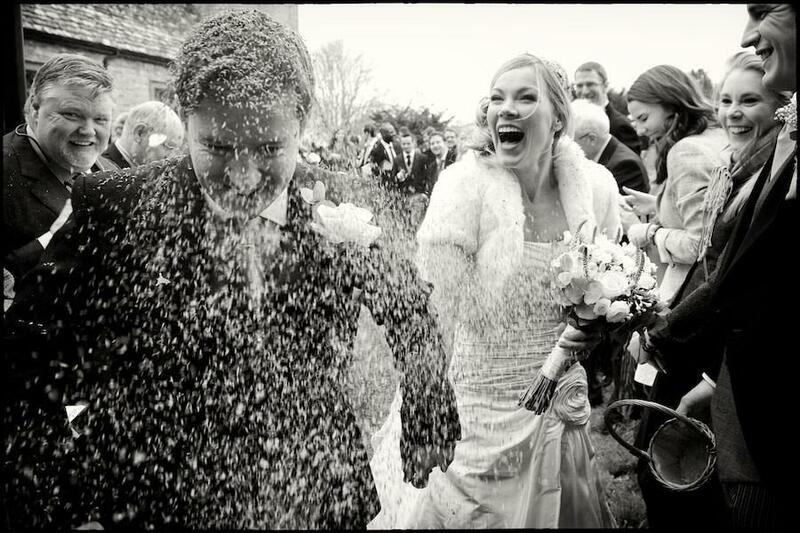 About the photographer: I am a professional wedding photographer based in Devon but I travel throughout the UK. I absolutely love what I do and am so privileged to have turned my hobby into a career. My photography is primarily documentary in style - I love catching moments that would otherwise get missed or forgotten such as a look of pride from the parents, the tears and emotional hugs from family members and friends and the shapes on the dancefloor at the end of the night. Why we love Confetti shots! A set of wedding pictures without a confetti shot just has something missing ! With all the red-tape and rules and regulations about these days, it isn't always easy to spontaneously throw confetti about - but with a little planning and preparation that quintessential wedding shot will be yours ! It symbolises a kind of rite of passage and is exactly the kind of fun and colourful image that couples always love to look back on for years to come.